Paper copies of your student’s STAAR Student Report Card (Confidential Student Reports) are mailed as soon as they are received (usually in mid-July). In order to access your student’s STAAR scores now, the Texas Education Agency (TEA) has created an online student portal for parents. 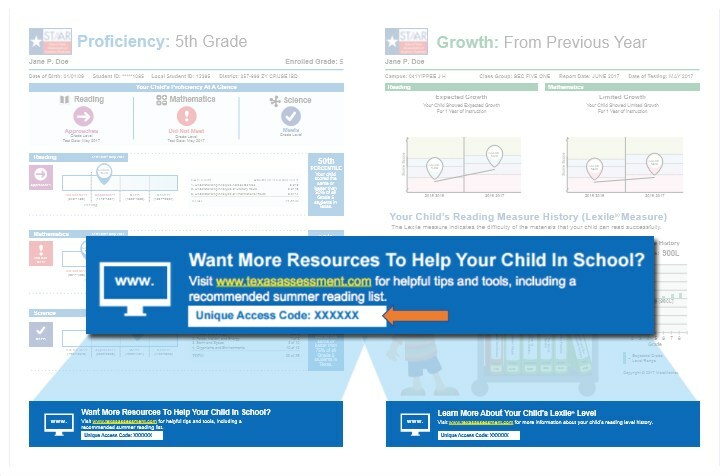 Log in to the student portal at Texasassessment.com to view your child's STAAR scores and access additional resources. This information is also accessible using mobile devices. 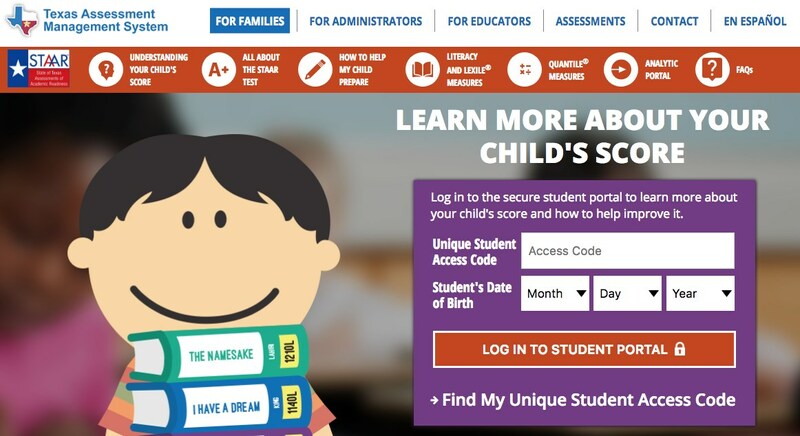 There are TWO ways to access/Log in to your child’s STAAR scores in texasassessment.com. Once you've accessed the site, click on the "Login In to Student Portal" button (see image below), then follow one of the two methods outlined below to access your child's scores. 1. 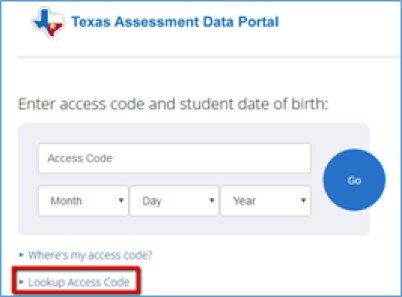 Enter your child’s Unique Access Code and birthdate at the Texas Assessment Data Portal for Parents. If you have a previous year STAAR score report, the unique access code can be found at the bottom of the report (see image below). 2. On the same portal, use the "Lookup Access Code" feature (see image below) by entering your child's first name, PEIMS ID (Social Security Number) and date of birth. Note: If you did not provide the district with your child’s social security number during registration, your child was assigned a state identification number by the state. If you do not know your child's state identification number, a copy of your student’s scores are mailed in July that will include your child's unique access code to log into the portal.